Before the advent of DAT,MD and CD-R it was common practice in the recording industry to record digital audio onto video tape. The reason for this was that regular linear tape recorders did not have sufficient bandwidth to record the sheer volume of PCM data. Video recorders on the other hand did have sufficient bandwidth. 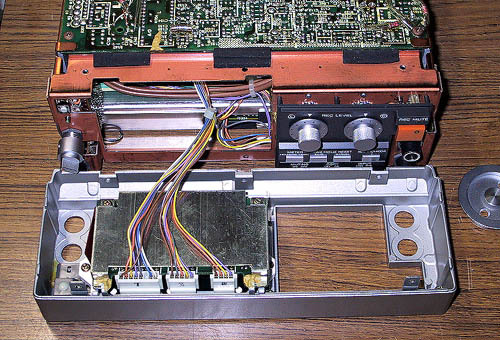 It was standard practice for many years to master CDs using U-Matic video tape and the Sony PCM-1630 PCM processor. DECCA made digital recordings of classical music in the 1970s already, using specially modified IVC video recorders. 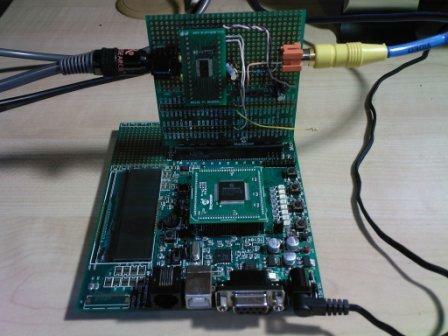 Encode the PCM audio into a pseudo video signal. This signal is then treated by the VCR, and recorded like, a regular PAL or NTSC video signal. These devices were often called PCM adaptors. Record the PCM audio data directly to the "video" tape using Biphase Mark encoding. This was the method used by DECCA. 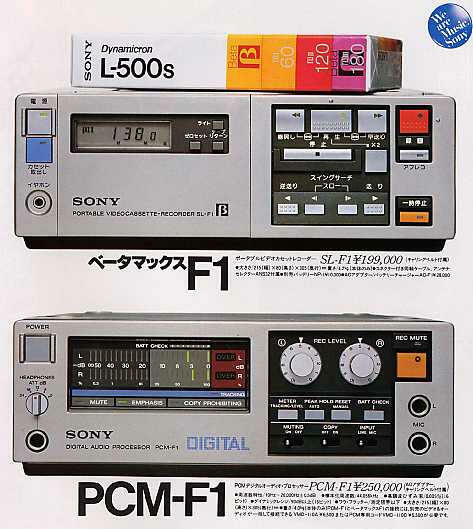 Sony released consumer products using the first method in 1977 already, namely the Sony PCM-1. See my attempt at building my own PCM adapter/processor. Early in 2007 I started a project involving video. I needed an accurate source of composite video sync signals for both NTSC and PAL. 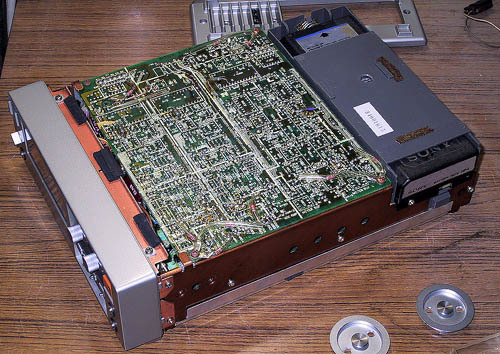 Many of the existing sync generator chips such as the Philips SAA1101 and SAA1043 are either out of production or near impossible to get hold of. 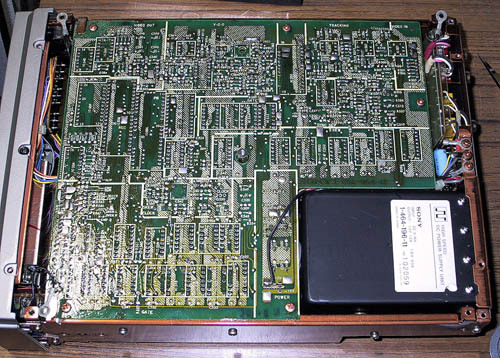 Some of the few remaining sync generator chips, like the 74ACT715, require the loading of values into internal registers to generate PAL. The 74ACT715 can only generate RS170/NTSC sync using internal default values. 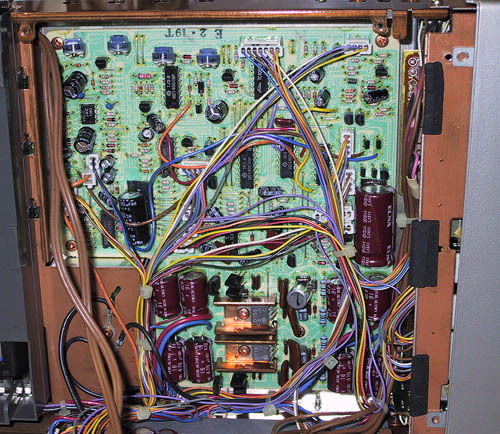 This is all too complicated for many of us who just want a plug and play solution to generate PAL or NTSC composite sync signals. I therefore decided to design my own and wrote the necessary software to generate all the needed signals from a PIC16F690 with a 20MHz crystal. 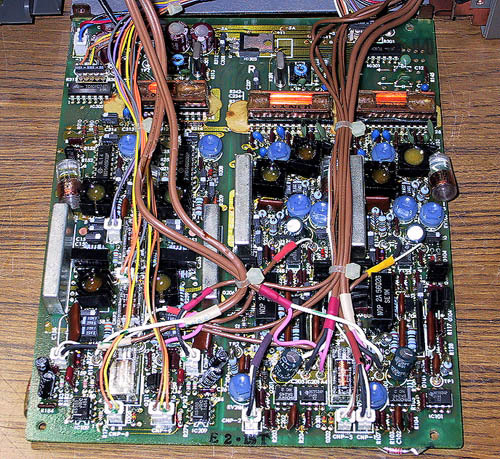 I used this sync generator in my PCM-X1 Processor. This version also contain additional code to indicate to my PCM processor when an active video line is present. 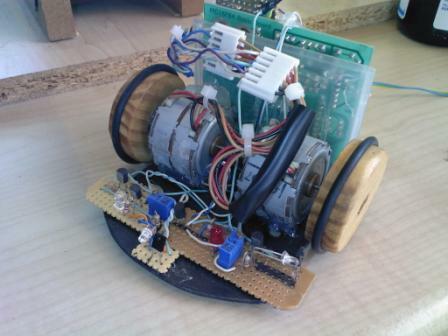 This example should give you something to work from when designing your own circuits and code. You may freely distribute the above code and make changes. 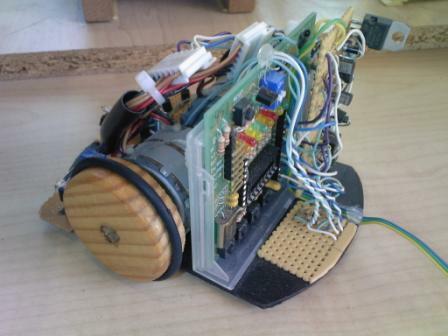 In January 2005 as part of my final project in Micro System Design IV I had to build a robot capable of finding its' own way out of a maze. The robot used optical sensors and a PIC16F84. It worked well and I was told it had a cute wiggle.